With superstar chefs, award-winning restaurants, and a culinary tradition that blends recipes and ingredients from the New World, the Old World, and the world of fusion, Puerto Rico's gastronomy has become a huge draw for tourists. Now the rest of the culinary world is taking note, with elite chefs such as Jean-Georges Vongerichten, José Andrés, and Alain Ducasse having opened restaurants on the island. Puerto Ricans love to celebrate their food with festivals throughout the year honoring everything from crabs to coconuts. The island promotes its local chefs at a variety of food festivals. Take all that culinary talent, pour a bit of Puerto Rican rum into the mix, and you've got a recipe for world-class food and drink. To experience the best of island cooking (and drinking), check out these terrific food festivals in Puerto Rico. 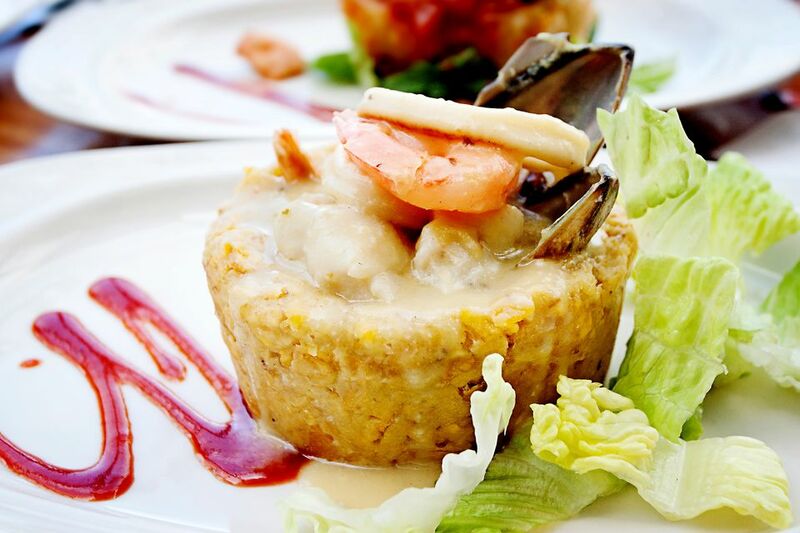 Saborea is Puerto Rico's premier food festival which happens in May. This culinary extravaganza brings together the island's top chefs and famous international culinary personalities. You'll experience both Caribbean and worldwide flavors presented by more than 30 restaurants. In addition to the amazing food selections, you can try many different rums, wines, beers, and distilled spirits. Saborea takes place over a weekend, and although it's the most expensive food festival in Puerto Rico, it's also by far the largest, glitziest, and most anticipated culinary event of the year. SoFo Culinary Festival is a popular (and free) event named after South Fortaleza, a street and section of Old San Juan that's home to terrific restaurants. Twice a year, usually in August and December, the streets close for this restaurant crawl and SoFo takes over the neighborhood for four days. The event also features live entertainment by local musicians. At SoFo, more than 40 participating restaurants throw open their doors; set up tables with representative tapas, dishes, and drinks; and invite the crowds to stop by and sample their goods. Restaurants that have participated in the past have included Parrot Club, Aguaviva, Toro Salao, Café Puerto Rico, and Pirilo Pizza Rústica. Every February, the town of Maricao celebrates the end of the coffee harvest season during the massive Maricao Coffee Festival. In addition to coffee and more coffee, you'll also enjoy music, parades, dancing, arts and crafts, and dancing. A festival highlight is the barista competition. Some of the world's best coffee is grown in this area, so don't miss your chance to try some. If you can't make it to Maricao, the town of Jayuya also has a coffee festival in February.